Felix Duerr earned his veterinary degree in Hannover, Germany. He completed his surgical residency/master’s program at Colorado State University in 2007. 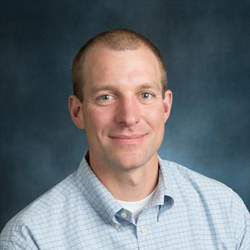 Dr. Duerr is board-certified with the American College of Veterinary Surgeons (ACVS), European College of Veterinary Surgeons (ECVS) and the American College of Veterinary Sports Medicine and Rehabilitation (ACVSMR). He worked in private practice for four years prior to joining Colorado State University in 2011. Dr. Duerr’s research focus is clinical studies aimed at improving animal health and quality of life related to musculoskeletal problems with a particular focus on osteoarthritis. His clinical interests include sports medicine, rehabilitation, orthotics and prosthetics. Current research projects include the evaluation of new treatment options for arthritis and the development of novel gait analysis and other techniques used to objectively measure outcome in clinical trials.